WPL MP3 Converter - How to extract MP3 files from WPL? The Windows Media Player Playlist file - WPL is helpful for us to managing music files. However, how to convert such WPL playlist back to a separate set of MP3 files. The bellowed article will show you how to convert WPL to MP3 files and a powerful Audio Converter which can help you convert between almost all audio formats on Windows and Mac. WPL file is client-side playlist that is written in XML format that lists each track, file path and other information. Most actual media file in the playlist is stored in local disk and some WPL files involve streaming media online. So it is not so easy to convert WPL directly to MP3. 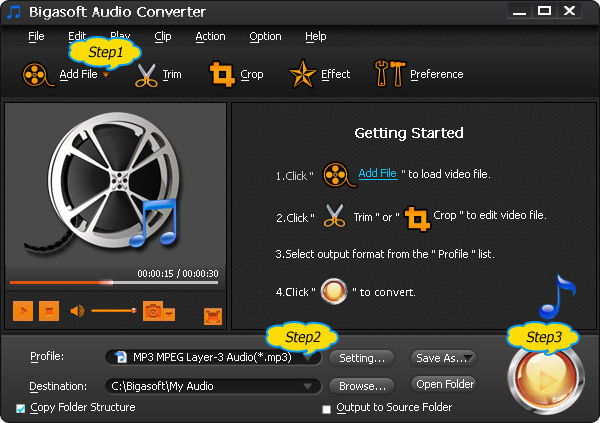 Here, let's follow the step-by-step guide to extract local and online MP3 files from WPL. Firstly, open the WPL by Notepad, WordPad or any Internet Explorer. Then you can get the contents of the playlist. Each line of code includes the "src=" statement, along with a file path or URL. With the path info, you can locate the audio tracks which are stored in local disk. Some of them may be already in MP3 format and now you can enjoy them with MP3 players. However, other local audio tracks may be in WMA, WMV format which need to be converted to MP3. Now you need an Audio Converter. Bigasoft Audio Converter is highly recommended MP3 Converter which helps to convert almost all video and audio files to MP3 with fast speed and high quality. 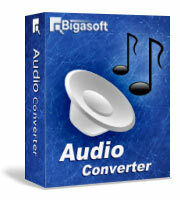 Firstly, free download and install the ideal WPL to MP3 Converter - Bigasoft Audio Converter. Launch the MP3 Converter. Drag and drop the extracted audio tracks to the main interface to import them into the Converter. Choose "MP3 MPEG Layer-3 Audio (*.mp3)" profile from Profile drop-down menu -> General Audio category. Besides MP3, you can also convert WPL to other audio formats, including OGG, M4A, AC3, AAC, OPUS, etc. After all the settings are done, just click "Convert" button to start the WPL to MP3 conversion. Besides local audio tracks, you may get some URLs from WPL file. How to convert these online media to MP3? I recommend you to try Bigasoft Video Downloader Pro which helps to download online media files from more than 100 video sharing websites. 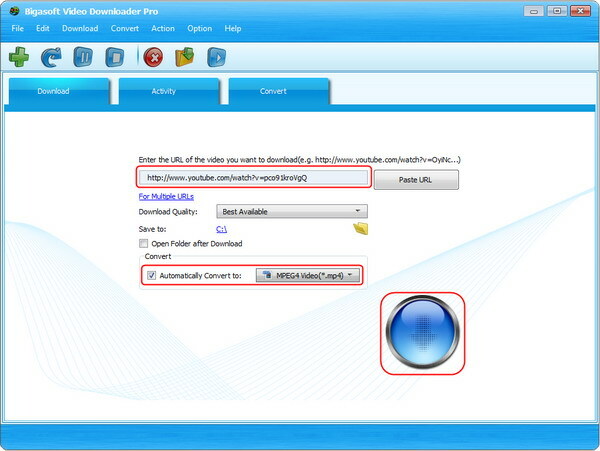 Download and install the downloader. Copy the URL from WPL and paste it to the URL box on the main Download panel. Check the "Automatically Convert to" option, and then click the drop-down button on the right side of the "Automatically Convert to" to select "MP3 MPEG Layer-3 Audio (*.mp3)" from the "General Audio" category. Click the "Download" button to start and finish downloading and converting WPL URL to MP3. After it is completed, click the "Save to:" destination folder link to open the "Convert" folder to find the downloaded/ converted MP3.